The hill has hosted many special events that have shaped its personality, such as the 1929 International Exhibition. Palau Nacional, being the centerpiece of this exhibition and the picture above, welcomes everyone to discover 1.000 years of Catalan art. The Pavelló Mies van der Rohe, which was the German Pavilion at the event, is a great example of Bauhaus architecture. And that’s not all. This hill is heaven for the real culture lovers. If you are more into sports, visiting the Olympic Ring will make you happy. 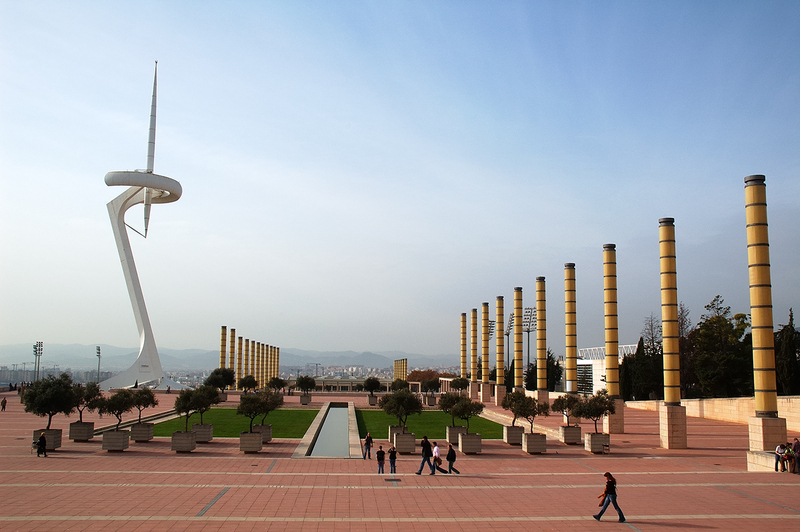 The Montjuïc hill was the main site of the 1992 Olympic Games. For children and families there is a cable car available, taking you to the sightseeing highlights while having a magnificent view. The cable car can take you up near the Montjuïc Castle, which is located on the summit of the hill. The cable line is 752 meters long and gives multiple options for boarding and exiting. An experience you will not forget! Whatever reason you have visiting Barcelona, Montjuïc hill is a must visit. The hill offers something for everyone and is most enjoyable, obviously, when the sun is bighting up Barcelona. 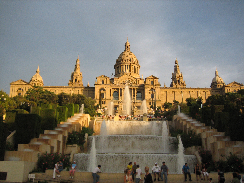 From having amazing views to learning about the Catalan art, Montjuïc is the place to go. Even only for the Olympic Ring this hill is worth climbing. If you are not convinced yet, or you would like to find further information, feel free to click here. We hope to see you soon in our aparthotels in Sarria, Barcelona!